This is my first blog of 2015 and I’ll start with my latest soap box speech. How many times have I looked at recipes, which give the prep time and the cooking time, only to be frustrated by how long it actually takes from start to eating time? The cooking time is usually pretty accurate … the prep time, though … I would say, it is definitely based on you having a personal sous chef. I’m no slouch in the kitchen – but here’s my tip (and I know my friend Andy does this too) If something needs to be chopped, diced, drained, rinsed, mashed etc – do it BEFORE you start and have everything in those lovely mis en place dishes you bought at the kitchen store (or just use soup or cereal bowls). Mise en place (according to Wikipedia – the French pronunciation is[mi zɑ̃ ˈplas]) , is a French phrase which means “putting in place”. 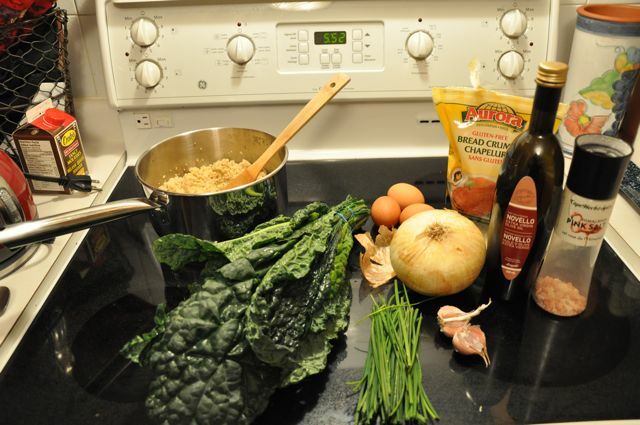 Those who work in professional kitchens will know it well – but the practice of organization and arranging the ingredients is very effective in home kitchens too. Today – I bring you a traditional Italian soup recipe and one for vegetarian patties for a new take on comfort food. 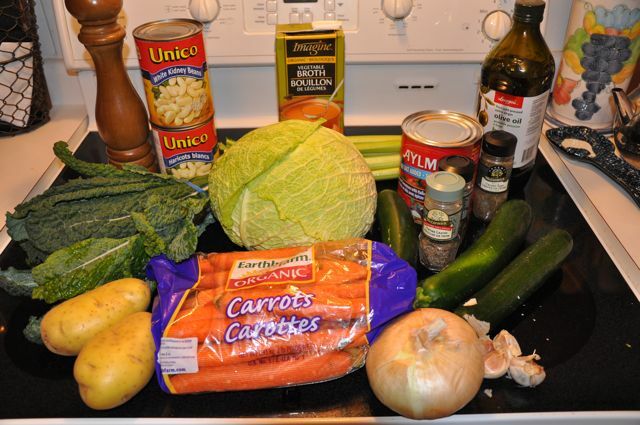 The soup is warm, filling, gluten-free and provides several servings of vegetables per bowl. The meatless patties will convert even the most challenging omnivore. Both recipes make A LOT, so invite some good friends over – that will be comforting too. 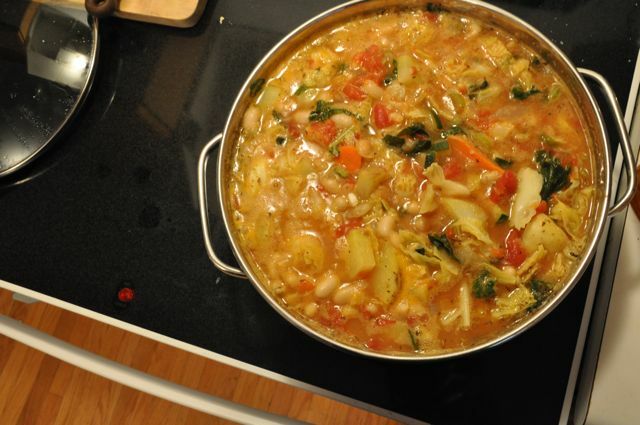 Ribollita is a traditional hearty Tuscan soup, which typically uses day-old bread to add body and thicken the broth. EatingWell’s recipe suggests using a bean mash, which keeps the soup gluten-free and adds fibre. Garnish with extra-virgin olive oil or pepper and grated Parmesan. Open canned tomatoes. Using a potato masher, mash half the beans into a paste (add a bit of broth, if desired, to make mashing the beans easier). Set the tomatoes in their juice and beans aside. Heat 2 tablespoons oil in a Dutch oven over medium heat. Add onion and garlic; cook, stirring, until translucent and tender, 2 to 3 minutes. Do not brown. Season with 1/8 teaspoon pepper. Stir in carrots, celery and zucchini and the remaining 1 tablespoon oil; cook, stirring, until nearly tender, 3 to 5 minutes. Season with 1/8 teaspoon each salt and pepper. 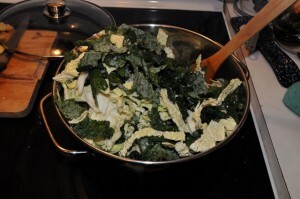 When the carrots and celery are nearly tender, stir in kale and cabbage. Cover and cook, stirring occasionally, until wilted, 4 to 6 minutes. 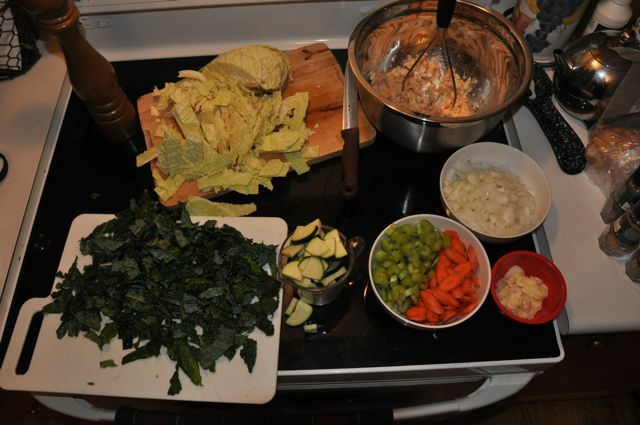 Add potatoes, broth, water, the diced tomatoes and juice, the bean puree and whole beans, thyme and bay leaf. Bring to a simmer over medium heat. Season with celery seed, hot sauce and the remaining 1/4 teaspoon pepper and 1/8 teaspoon salt. Cover and cook, stirring occasionally and reducing the heat as necessary to maintain a gentle simmer, until all the vegetables are tender, 15 to 20 minutes. Don’t be afraid to serve this soup reheated the next day (or the next) The flavours just get better and better! 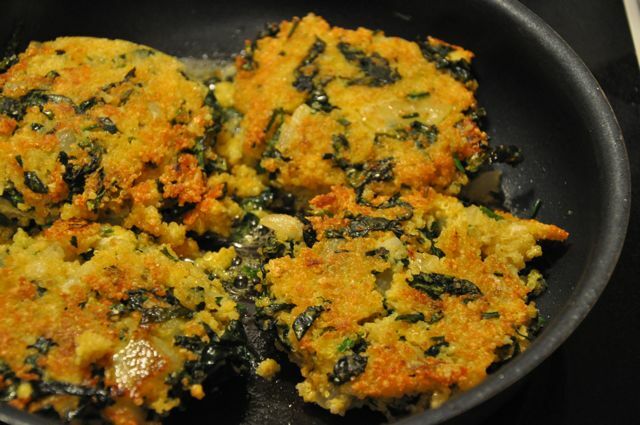 Form patties using ½ cup of quinoa mixture and place patties in skillet being careful not to splash hot oil or overcrowd the pan. Fry until golden brown on each side, approximately 5 minutes per side. Hi El, they look great. I will give them a try. Looks yummy. Great for our cold winters!